Cha Jin Wook (Sung Hoon) and Lee Yoo Mi (Song Ji Eun) meet at a Gangwondo resort and get caught up in a series of misunderstandings and accidents. Lee Yoo Mi was charmed by Cha Jin Wook's sly and playful personality, and they unexpectedly spend the night together. However, Lee Yoo Mi disappears in the morning, leaving Cha Jin Wook feeling perplexed and irrationally angry. 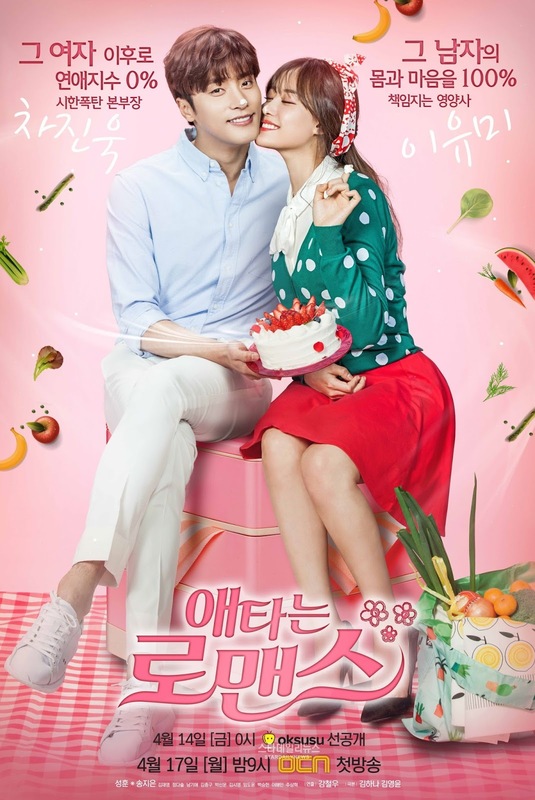 Three years later, the two meet again when Lee Yoo Mi becomes a nutritionist at the company cafeteria where Cha Jin Wook works. OCNs first romance-themed drama, and somehow when it’s OCN I always get a huge expectation. It was good, I’m not going to lie about it and be all biased because it’s OCN, but it didn’t have a wow-factor to it at all. It was like a typical drama. Yes, good acting, good directing, cinematography was fine, but somehow it missed something essential to differ it from the rest. I liked the fact that it was only 13 episodes (the amount of episodes stands out, since it's not typical to have only 13, standards would be 12 or 16). There is really not much to say about it. Good watch, but definitely not one I’ll remember. OCN, you guys should stick to mystery and thriller.